Nowadays, revenge is something usual. I bet that we often hear ”I will make him/her pay for what he/she did to me”. Am I right? But let’s take a moment and think if the revenge is good or bad. We tend to say that is good because it helps us feel better, somehow. In fact, is not like this at all. Confucius said that “before starting a revenge journey, you must dig two tombs”. Why? Because revenge is blind and it can harm us too, even though we don’t notice it at the moment. When you are hurt, don’t act immediately. Take your time and think about what happened. If you are open minded you realize that revenge is not good for you and time will heal all the injuries. Above we can see an angry woman destroying her boyfriend’s car. Can you imagine a reason why she is doing this? Of course, he did something to her, more exactly, he cheated on her. She hit his car for ten minutes, and you can imagine that after she finished „the job”, the car was completely destroyed. She threw a rock into the car’s windows and then, with a tube, she hit the rest of the car. Ben Taylor, aged 21, witnessed this scene. He said that he heard the woman saying she just wants to revenge on her unfaithful boyfriend. The vengeful women left just before the police had arrived. Another case of cheating, another car destroyed. Poor Range Rover. This beautiful car was seen in London, with the words „CHEATER. It’s over. Hope she was worth it”. The picture with this intelligent revenge went viral immediately. Some people agreed with the woman, saying that she did the right thing, and others said that he did a big mistake. Of course, everyone has his own opinion but we can never know what felt that woman when she found out that she is being cheated. On December 2014, in New York, a Porsche had the same faith with this Range Rover. If you love women and cars, you should either have an insurance or be faithful. If you are not faithful and you don’t have a good insurance, than you are a destroyed man. Women really know how to revenge and to make men suffer. A mad and patient woman decided to give his unfaithful man an unforgettable lesson. 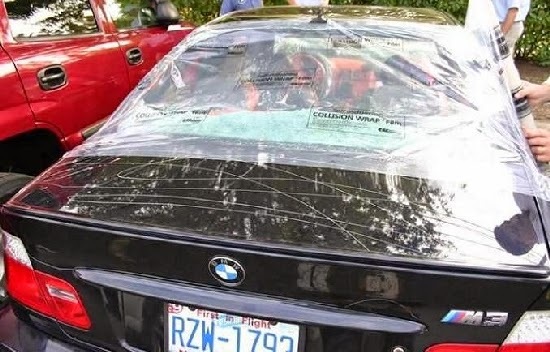 This BMW has his back glass broken and some paint inside. Can you imagine the anger of this woman? Guys, watch out! God really exists. The following guy is blessed and lucky. The car looks awful and you can imagine the pain felt by the owner. That woman, Carmen Chamblee, aged 19, wanted revenge because his boyfriend cheated on her so, she decided to set fire to his car. But she fired Thomas Jennings car, not his boyfriend’s. Thomas said he has no idea who that woman is. The fired vehicle was first sawed by Jennings’s roommate. Carmen Chamblee, was arrested Saturday morning near Clearwater in Florida and charged with second-degree arson. 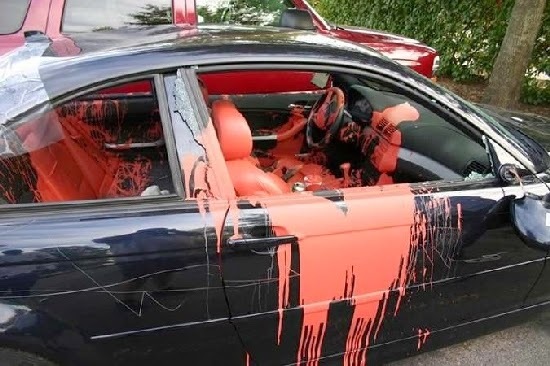 Carmen told police she believed that the car belonged to her ex-boyfriend. Ex-boyfriend, indeed, you are a lucky guy! As we previously saw, revenge is not good at all, but neither cheating. Revenge can hurt our soul, our emotions and other people. So, you better stay loyal and far away from revenge!